Massachusetts OUI Laws Category Archives — Massachusetts DUI Lawyer Blog Published by Boston, Massachusetts Criminal & DUI/OUI Defense Attorney — Stephen Neyman, P.C. Recently, in Souza v. Registry of Motor Vehicles, the highest court in Massachusetts held that as used in the Massachusetts operating under the influence (OUI/DUI/DWI) statute, the word “convicted” refers only to guilty findings and that a “continuance without a finding” (CWOF) is no longer considered a first offense for RMV license suspension purposes. In Souza, the plaintiff appealed an RMV decision suspending his license for a period of three years. He had previously admitted to sufficient facts in an OUI case, and his case was continued without a finding and later dismissed upon successful completion of his probation. Thereafter, he was arrested again for OUI and refused a breath test. The plaintiff argued that his license should only have been suspended for 180 days because there was never a guilty finding and he was therefore never previously “convicted” of OUI within the meaning of the statute. The RMV argued that, in light of the remedial purpose of Melanie’s Law, “to increase penalties for drunk drivers in the Commonwealth,” a CWOF is the equivalent of a guilty plea. The Supreme Judicial Court rejected the RMV’s purpose-based argument and interpreted the law based on its plain language. It reasoned that if the legislature had wanted to include an admission to sufficient facts in the definition of “conviction,” then it would have done so expressly. The court reasoned that the plain meaning of “convicted” or “convicted of” is confined to a guilty plea, a finding of guilty, a judgment of guilty, or a plea of nolo contendere. The SJC went on to state that even if it were to accept that the RMV’s interpretation would be more consistent with the purpose of Melanie’s Law, the court could not read the statute in a way to advance the purpose where such a reading would disregard the language that the legislature chose to use. Since the SJC’s ruling in Souza, Attorney General Martha Coakley, state Senator Katherine Clark, a Melrose Democrat, and House Judiciary Chair Eugene O’Flaherty, a Chelsea Democrat, have come together to close the perceived “loophole” created by the decision. The three politicians are working towards amending the definition of “conviction” at issue in Souza to include CWOFs. “We must respond quickly to close this loophole and ensure that repeat drunk drivers are taken off the roads for significant periods of time,” Coakley said in a statement, according to the Boston Herald. If you listen to politicians and the media, you might think drunk drivers are the most serious menace on the roads today. 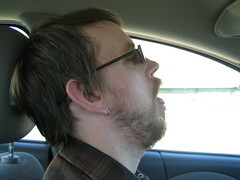 However, a new report from the AAA Foundation for Traffic Safety reveals another under-recognized danger: drowsy drivers. One in six fatal crashes involves a driver who falls asleep at the wheel. Part of my job as a Massachusetts OUI defense attorney is to protect my clients’ civil rights. Given the hysteria around drunk driving — and the lack of hysteria around the apparently far more common sleepy driving accidents — I am concerned about the disparity in how these threats on the road are treated under the law. For the family and friends of people killed in car crashes, the loss of their loved one matters much more than the specific reason the driver of the other car was impaired. There may be many different ways to be distracted or impaired while driving, but all of them have the same dangers — injuries, deaths, and property damage. Jacquelyn Polito, a registered sleep clinician at South Shore Hospital in Weymouth, said drowsy drivers may pose the same danger as drunk drivers with a blood alcohol count of 0.10 percent, which is actually above the legal threshold of 0.08. As I discussed recently, scientific research shows that texting drivers are even more dangerous than drivers who are drunk or high. And this summer, a study by the AAA found that pets are the third most dangerous distraction for drivers, after talking on the phone and texting. Why is it that, of the many kinds of impairments or distractions that can cause accidents on the roads, the only kind that is treated severely under the law is drunk driving? Many of the other kinds of distractions and impairments are not even taken seriously by the law. For example, the new Massachusetts distracted driving law was passed without the ban on driving with pets in the driver’s lap that it originally included, and its penalties for texting while driving are far less severe than those for driving under the influence of alcohol. 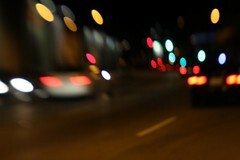 Instead of treating all dangerous driving equally, the law singles out drunk drivers for special penalties. 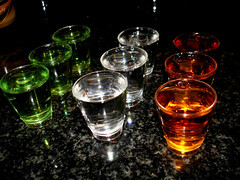 Perhaps the real issue is social disapproval of drinking, not the level of danger posed by driving under the influence. As irrational as it may be, it’s unlikely that OUI penalties are going to be relaxed anytime soon. That’s why it’s important for anyone charged with drunk driving to immediately contact a Massachusetts drunk driving defense attorney. There’s too much at stake in an OUI conviction to leave your fate up to chance. Even with a first OUI conviction, the penalties can include hundreds of dollars in fines and jail or probation for up to 2.5 years. Compare that with the simple $100 fine that drivers over 18 would face if caught texting. A Beverly woman is in legal trouble after a teenager claimed the woman hosted a party at which she served teenagers a large amount of alcoholic drinks. That would put the woman in violation of the Massachusetts social host law, which dictates criminal penalties for adults who knowingly serve alcohol to minors. As a Massachusetts OUI defense lawyer, I have been very interested in following how our state’s social host law has been applied, because it can easily be used to prosecute innocent people. Anyone charged with violating this law should contact a Massachusetts intoxicated driving defense attorney immediately in order to preserve their rights and improve their chances of getting the charges dismissed or a not-guilty verdict. In the Beverly case, police received complaints after midnight on Oct. 31 about a loud party at the apartment of Tiffany Clark, 35, at 903 Manor Road. Police entered the apartment, found several teenagers inside and contacted their parents. Police also reportedly found empty beer cans and 75-100 empty cups that they said were probably used for Jell-O shots. They observed Clark to be unsteady on her feet, slurring her speech and responding “somewhat incoherently” to officers’ questions. Then she fell down, and police called for an ambulance to take her to Beverly Hospital. Clark’s children stayed with a friend’s parents, and police notified the Department of Children and Families. Police also received a report that a 16-year-old girl was hospitalized for alcohol poisoning after being present at the party at Clark’s apartment. The girl told police that Clark refused to take her to a hospital or call 911, and that someone else called the girl’s relatives for help. When police arrived at Clark’s apartment, they informed her about the girl’s hospitalization, and noted in their report that she “seemed not to care.” Clark is criminally charged with procuring alcohol for minors and with allowing minors to consume alcohol at her home, in violation of the social host law. If convicted, she could be sentenced to up to a year in prison, a $2,500 fine, or both. The articles in the media about this situation portray Clark as being obviously guilty of getting her child’s teenage friends drunk. As a Massachusetts intoxicated driving attorney, I know that the law has to adhere to a higher standard than the media do, and that’s why it’s important for someone in Clark’s position to contact an attorney right away. It may be tempting to plead guilty after a trial in the “court” of public opinion, but it takes an experienced attorney to decide whether the charges are supported by the actual evidence. From what we have seen in the news reports, the police did not find any teenagers who were drunk or drinking alcohol at Clark’s apartment, and she did not admit to having furnished them with alcohol. Clark herself may have been drunk, but it’s not illegal for a 35-year-old woman to be drunk in her own home. At worst, the evidence presented here may suggest poor parenting, but not illegal furnishing of alcohol to minors. A new Massachusetts law went into effect on September 30, forbidding texting while driving for all drivers, and both texting and cell phone use for drivers under 18. As a Massachusetts OUI defense attorney, I’ve noticed that some news reports have called the penalties for texting “harsh.” This is interesting, since the penalties for texting are nowhere near as harsh as they are for drunk driving, even though studies have shown that texting while driving is actually more dangerous than drunk driving. Lawrence Police Chief John Romero told the Merrimack Valley Eagle-Tribune that the texting law is “long overdue,” since texting has been the cause of many “tragedies.” The law punishes texting offenses with fines of up to $500 and up to a one-year loss of license. Romero notes, however, that it will be difficult to enforce the law because police can’t be certain what drivers are actually doing with their phones behind the wheel. Dialing while driving is still legal for drivers over 18. If police pull over a driver who appears to be texting, drivers can simply say they were just dialing a phone number. 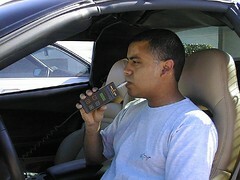 Without a warrant, police may not be able to check the drivers’ phones to find out whether they’re telling the truth. What’s most striking to me, as a Massachusetts drunk driving defense attorney, is the gap between how the law perceives the dangers of texting compared to that of drunk driving. Britain’s Transport Research Laboratory found that texting drivers’ reaction times were 35 percent worse than when they weren’t texting, while the reaction times of drivers who were at the legal limit for alcohol consumption only deteriorated by 12 percent. Even drivers who had used marijuana performed better than texters, with a 21 percent slower reaction time. Texters were also 91 percent more likely than non-texters to veer out of their lanes, and were less able to keep a safe following distance from the vehicle ahead of them. Yet when a texting driver causes a fatal crash, Utah is the only state that subjects that driver to the same penalties a drunk driver would pay, with up to 15 years in prison. 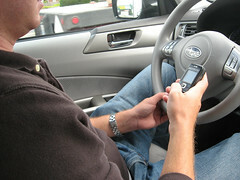 In Massachusetts, a first offense for texting by drivers over 18 is punishable by a $100 fine. Drivers under 18 pay the fine, lose their license for 60 days, and complete a court-assigned driver attitude course. In contrast, the penalty for a first offense OUI is much steeper: It may include a jail sentence of up to 2 and a half years, a fine ranging from $500 to $5,000, hundreds of dollars in fees, and a license suspension of one year. The alternative “24D” disposition for a first-offense OUI is much harsher than that for texting too. A 24D judgment involves probation for up to two years; completion of an alcohol education program; a 45-day loss of license; and hundreds of dollars in fees. There are lots of possible reasons for this disparity in penalties. Perhaps not as many people have lost loved ones to texting drivers as to drunk drivers, so the political will to do something about the problem has not developed. But even though the scientific evidence makes clear that texting is at least as much of a menace on the roads as drinking and driving, people charged with OUI face much more serious potential consequences than texters do. That’s why it’s so important for anyone charged with OUI to work with an experienced and knowledgeable Massachusetts intoxicated driving defense lawyer to help them navigate the system and get the best outcome — a dismissal of charges or a not-guilty verdict.